Black Lined - 10'6" x 15'Black Lined - 11'6" x 18'3"Black Lined - 12'6" x 19'6"Black Lined - 9'6" x 15'Black Unlined - 10'6" x 15'Black Unlined - 11'6" x 18'3"Black Unlined - 12'6" x 19'6"Black Unlined - 9'6" x 15'Blue Unlined - 11'6" x 18'3"
Our exclusive car storage bag features Zerust® technology for state-of-the-art moisture and corrosion protection. The Zerust® formulation is an anti-rust chemical built into the material, that protects from moisture and impurities with corrosion inhibiting elements. Each Car Storage Bag is simple to use, just drive down the center of the bottom panel, and pull the top portion over and zip-up the entire car bag for an airtight closure. Available also with a super-soft inner lining for ultimate paint pampering protection. We recommend you use this in conjunction with a car cover. 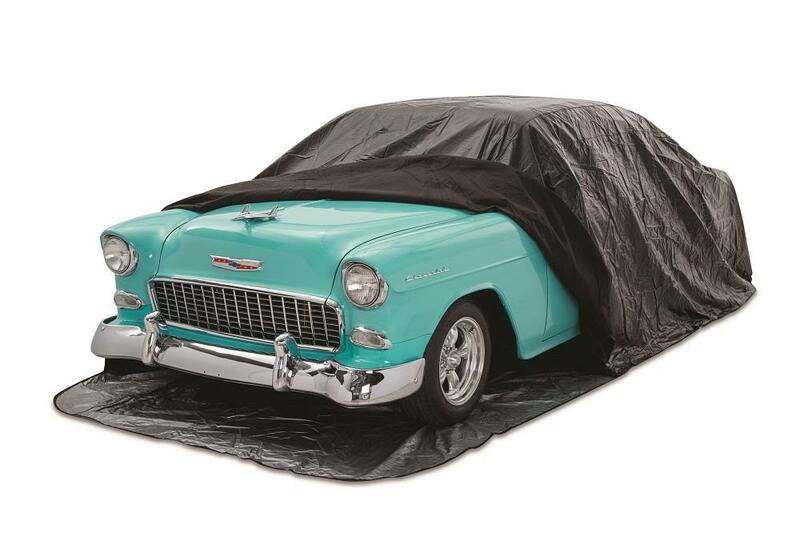 Car storage bags are an essential item in every auto enthusiast's garage. If you care about keeping your car safe and protected from the dust and pollutants in the air, keeping it covered is often the ideal solution. Finding one that offers full protection is not necessarily easy, though, and you need to know exactly what your car needs if you are going to protect it effectively. Some autos, for example, are more susceptible to rust than others. Older cars, including classic and vintage autos, often feature bodies that are made of chrome. This makes them particularly vulnerable to rust if they are not kept covered with a bag designed to be rust-resistant. Many car owners think first of dents and scratches when it comes to protecting their car, but you should not underestimate the destructive potential of rust. There are a few factors that can increase the likelihood of rusting; if you live in an region where rain is common, this can increase humidity and leave your car increasingly vulnerable. Similarly, coastal areas where there is salty ocean water can oxidize the metal in your car and wreak havoc. Sadly, perhaps the most common cause of rust is simply neglect. Cars that are not kept in a car bag are far more likely to rust than those that are protected. How does a car cover bag protect your auto from the dangers of rust? Not every auto storage bag is the same, but any barrier between the surface of your car and the surrounding environment is a good way to prevent contaminants from causing damage such as rust. An auto storage bag that comes with anti-rust features will even more effectively protect your car. 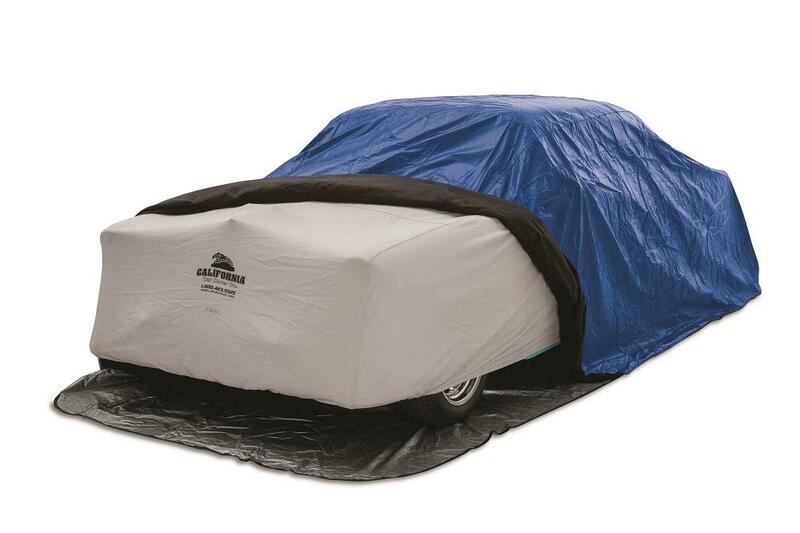 A zip-up car cover that encloses your auto completely is your best bet for shielding it from corrosion and maintaining its condition.